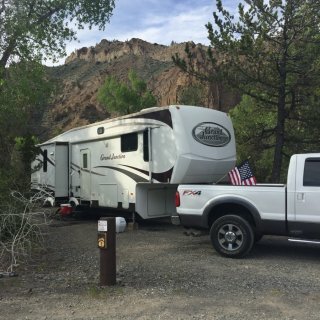 We camped here as a home base for Yellowstone. Worked out real well. 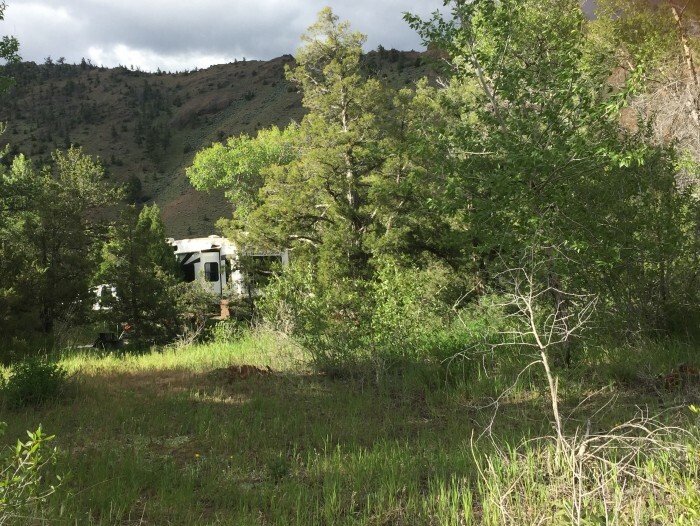 There isn't much to offer at this campground except for that. It does have electric hookups which is great and it has water available to fill holding tanks but not hookups. The nearest dump station is in the state park back toward Cody. They charge $6.00 to dump there. The toilets are pit toilets but they were kept very clean. I didn't use them but others in our party did. The Shoshone river runs right behind the campground and it was near flood stage when we were there due to the excessive heat causing the snow melt in the mountains. 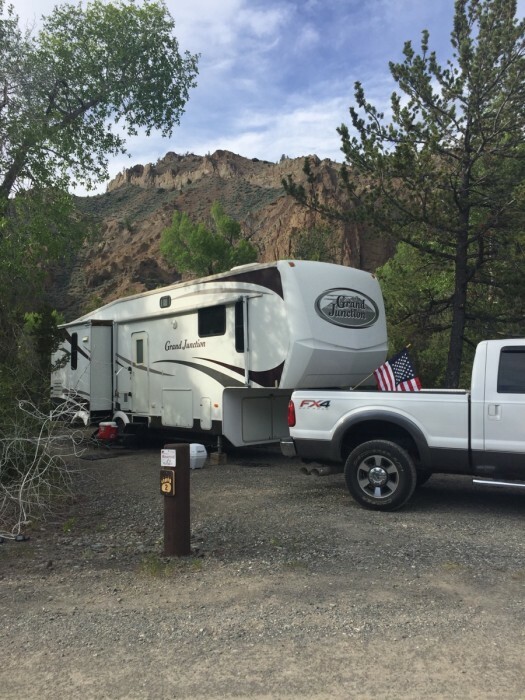 We camped at Wapiti Campground (USFS) in a Fifth Wheel. We went to Cody Wyoming several times and enjoyed our days there. The museum was awesome if your into that kind of entertainment. We also took in the Cody rodeo one night just to say we had been there. We also took a day trip to the Beartooth pass. That was something to behold with all the snow. But a word of caution, if you don't enjoy high mountain passes then pass up that trip. Of course we went into Yellowstone national park several days and saw a lot of wildlife which is always great. We used the park as an overnight stop on the way home from Wyoming. The owner has just recently purchased the park and in the process of making improvements. The RV sites are just basic sites with full hookups but he has made a very nice group meeting room complete with kitchen and dining area. It also has a big screen tv and a plus in Kansas is a safe room in case of storms. The owner is a very nice man and tries to make your stay enjoyable. The main drawback is hwy access and no shade trees. 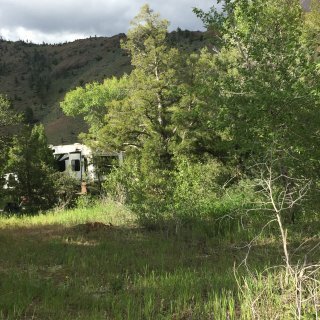 We camped at McPherson RV Ranch & Horse Motel in a Fifth Wheel.